The Philadelphia Environment Film Festival, the first of its kind in the city of Brotherly Love played Earth Day Weekend, April 21 through 23, 2017 at the historic Prince Theater in downtown Philadelphia. The festival opened on Friday night, honoring Fisher Stevens, director of the critically acclaimed climate change documentary, Before the Flood and closed on Sunday with James Cameron’s classic award-winning film, Avatar. The festival showcased dozens of new shorts and features from international and domestic filmmakers celebrating the anniversary of the birth of the modern environmental movement, Earth Day. My favorite part of the festival was viewing the Youth Block of Films and having the opportunity to interview the award-winning young filmmaker Dylan D’Haeze and his mother Dawn D’Haeze. 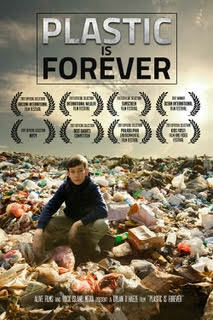 Dylan’s film, Plastic is Forever was featured at the festival. Here is an excerpt of my interview with filmmaker Dylan D’Haeze and his mother and producer, Dawn D’Haeze. Juanita: Welcome Dylan and Dawn D’Haeze to KIDS FIRST! Thank you for the opportunity to talk with me and share with our KIDS FIRST! audience points about your wonderful documentary Plastic is Forever. Congratulations on being the youngest winning filmmaker at San Francisco Ocean Film Festival and winner of its 2017 Environmental Award. Dylan, what sparked your interest in plastic pollution? Dylan: Thank you, Juanita. I am home schooled and it started as a project for school and, as I researched and answered the questions about plastics I became concerned about how plastic can damage the earth. Juanita: Why did you did decide to create this documentary? Dylan: I made this documentary because I’ve learned about plastic pollution and how it’s affecting the planet in a very bad way. As a kid, it scares me and I feel powerless. So, I decided to make a documentary about plastic pollution and teach kids how they can help solve the problem. Juanita: Do you have a favorite filmmaker of director? Dylan: Yes, my favorite director is Kip Anderson, director of Conspiracy: The Sustainability Secret. Juanita: What challenges did you face in bringing your son’s ideas to life? Dawn: Our biggest challenge was getting interviews. People were reluctant because they did not know us. However, as we continued it got better. Juanita: Describe how you felt when you went to the beach in Hawaii. Dawn: The beach we shot is a two-hour drive from the city. The road is very rough and very rocky. Dylan: The beach is covered with plastic and they had a clean-up before we visited. So much plastic, it has in the past reached almost 10 feet high. The broken pieces are becoming part of the beach. It was awful. Juanita: What is your next step to realize your goal of showing kids they are not powerless and that their daily actions affect our future? Dylan: This documentary is one in a series of films I’m making called Kids Can Save The Planet. The next film will be about climate change and I’m really looking forward to start filming again soon! Juanita: Dylan and Dawn, thank you very much for speaking with me today. I want to mention that Dylan’s film, Plastic is Forever is playing now at KIDS FIRST! Film Festivals nationwide so, be sure to check with your local festival to see if it is playing there. We look forward to your continuing series, Kids Can Save The Planet and wish you the best in your filmmaking endeavors. It’s heart-warming to see a young person such as yourself tackling this important issue. This entry was posted on Thursday, April 27th, 2017 at 2:59 pm and is filed under Film Critics Blog. You can follow any responses to this entry through the RSS 2.0 feed. Both comments and pings are currently closed.